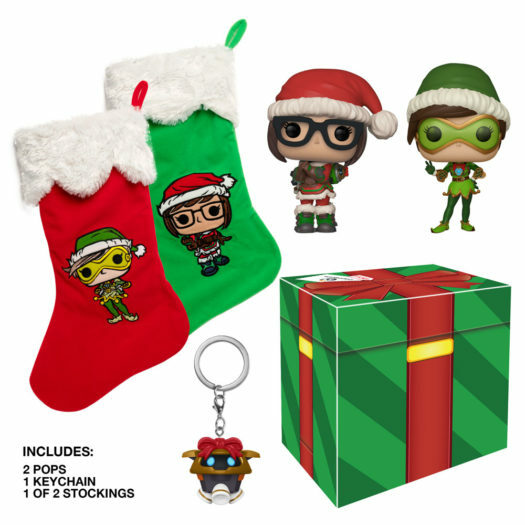 Home News New GameStop Exclusive Overwatch Winter Wonderland Box Now Available for Pre-order! New GameStop Exclusive Overwatch Winter Wonderland Box Now Available for Pre-order! The Christmas season is almost here and to celebrate, Gamestop is releasing a new Exclusive Overwatch Winter Wonderland Box. Below is a look at the content of the box as well as the link where collectors can pre-order it. The box retails for $29.99 per box and will be released December 3. Previous articleNew Five Nights at Freddy’s Black Light Pop! Vinyls, Pop! Pens, Mystery Minis, FunkO’s and More Coming Soon! Next articleNew Wreck-It Ralph: Ralph Breaks the Internet Rock Candy Figures Coming Soon!